Concreting the flooring in comparison to having wood laminates or marble fitted will also add to the aesthetics of the space. There are a lot of benefits that you can be entitled to when you use concrete flooring for your residential or commercial spaces. Mentioned below are some such advantages which you can look at for further understanding. Firstly, the ingredients used for this are easily available in most of the places. While concreting, you will need other ingredients apart from concrete which will have to be mixed to get the finished mixture. As these are easily available you need not run around for finding different vendors to help you in the same. 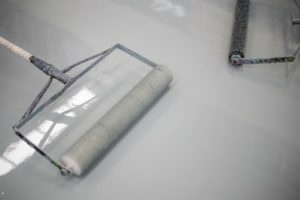 Though you may hire a professional for this activity, you can be sure of saving money because these raw materials will all be easily available in the market. Concrete is noncombustible in nature and so it can protect your property from fire. The place where you do concreting will not be affected due to the fire. Thus, it can be said that this material has very high durability. You will not have to worry about its repairs often because these are durable and last for a really long time. Concreting the floor will also be helpful as a useful shelter in the storm as it is also resistant to wind and water. If you prefer to have something that is sound proof and can absorb shocks this will be the right material to install in your house or office. The casting of concrete is required before you lay it as flooring. The best part of this material is that the casting and mixing can be done at the site itself. You will not require a different place for the same. This will also save your money. 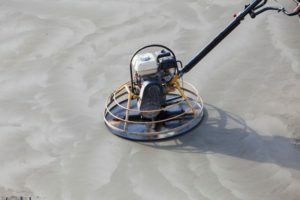 As concreting does not involve any toxic paints or substances you need not worry about moss, mold spores, mildew and other things such dangers. It can keep your children and pets safe when they are in the house. This type of flooring does not demand too much of cleaning and in this way you can save a lot of money and time as well. Even if there is anything which gets spilled on the floor, cleaning process is not that difficult. Concreting can be a good option not only for your indoor flooring but can also be laid on patio flooring, pavers and lot more. If you have a separate parking lot laying concrete on the flooring can be a good idea. It is sturdy and thus can hold the pressure of vehicles easily. Homes or offices built with concrete can be very energy efficient. This is because the material has a thermal mass ability which helps in absorbing and retaining heat to the fullest. With this, you can easily cut down on your heating and cooling bills in every season. Rather than installing heaters or HVAC units you can opt for a small air conditioner for your house when concreting is done. This entry was posted in Real Estate Building and tagged Best Flooring, Concrete, Concrete Floor, Concrete Flooring, Concreting, Flooring, Flooring Types, the best flooring, types of flooring. Bookmark the permalink.